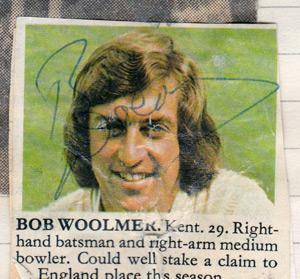 Signed County mini cricket bat. 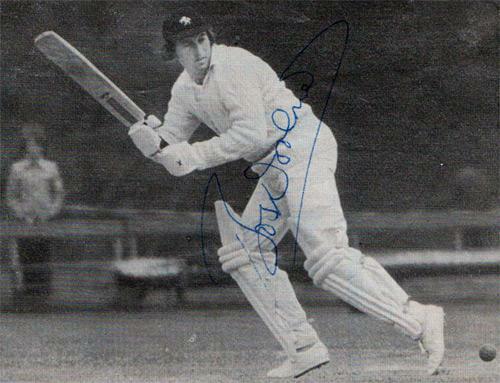 Signed KCCC B&W magazine pic. 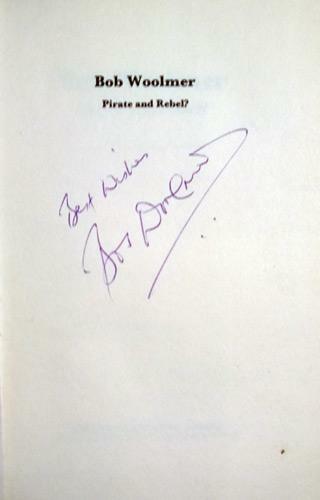 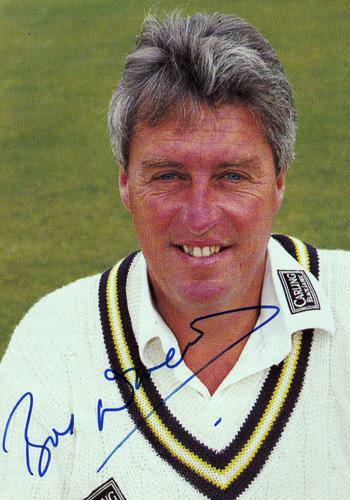 Signed KCCC colour portrait photo. 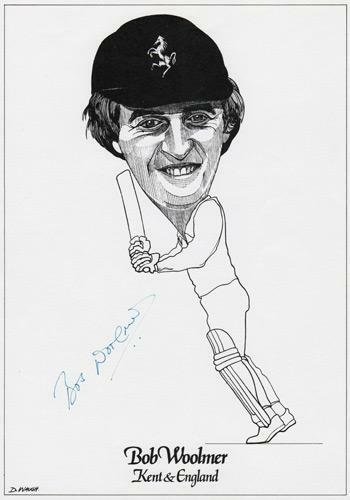 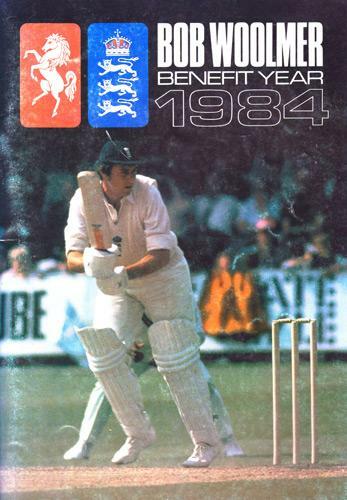 1984 Kent Cricket Benefit Year Brochure. 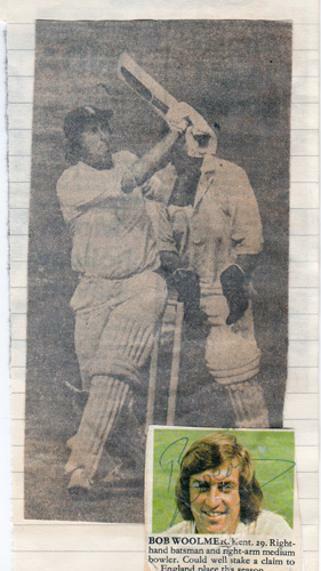 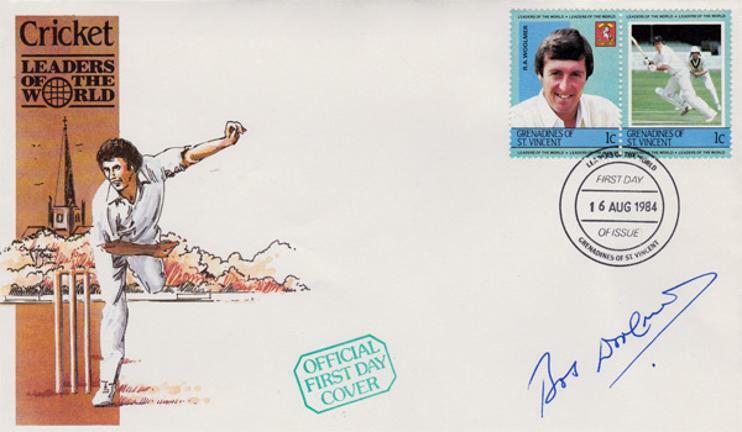 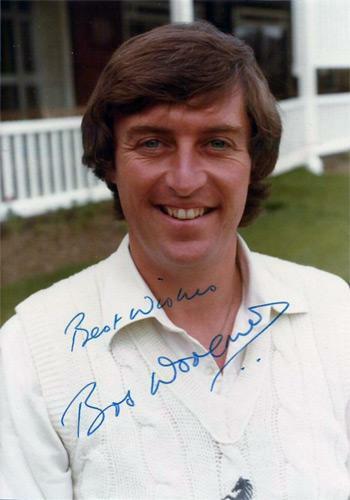 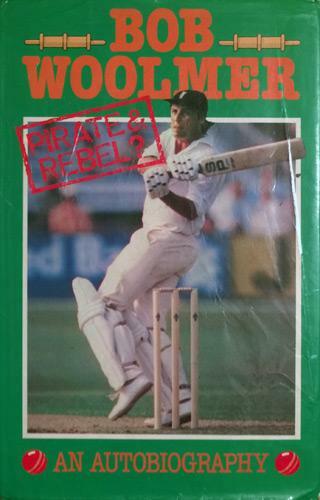 2 x Bob Woolmer stamps.